The bristles are lighter/whiter when new - my brush has been used and washed quite a lot so the color is a bit off now. 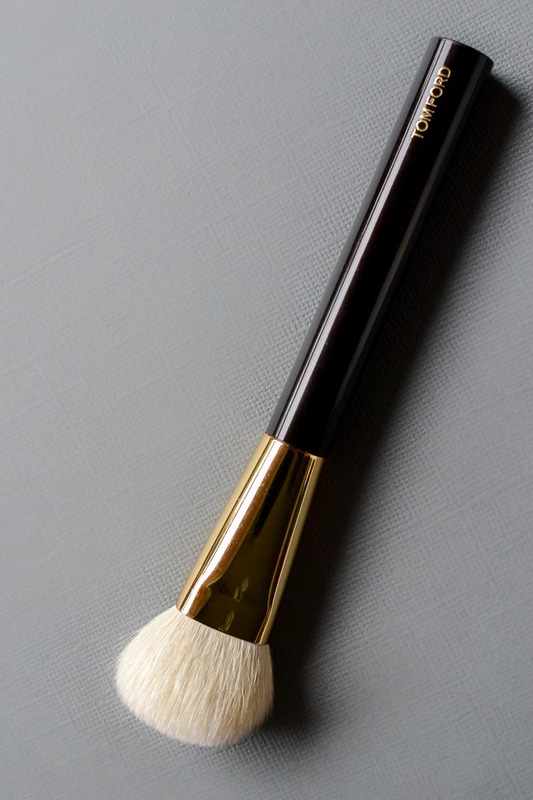 The Tom Ford Cream Foundation brush is a very soft brush, and the densely packed natural hair bristles do a fabulous job of depositing just the right amount of product on the skin. I have only used this brush with liquid foundations, and I do think it absorbs a bit more of the product than it would with cream foundations, but it also applies the product beautifully on to the skin without any need for further blending or buffing into the skin. I either pick up the foundation on to the brush or dab some foundation on to my face and use the brush to spread/apply it. Either way, the brush applies foundation evenly without leaving any streaks or a cakey finish. 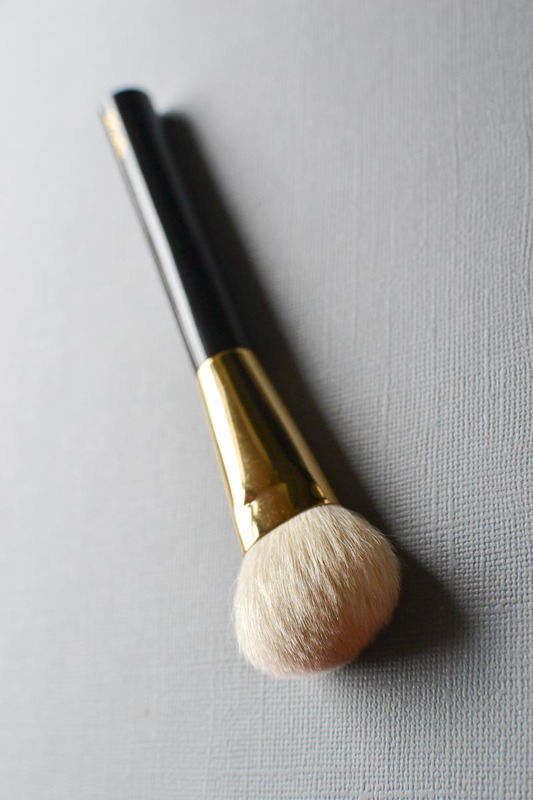 I have also used this brush for applying cream blushes, and it does an equally good job of buffing and blending the product into the skin without much effort on my part. 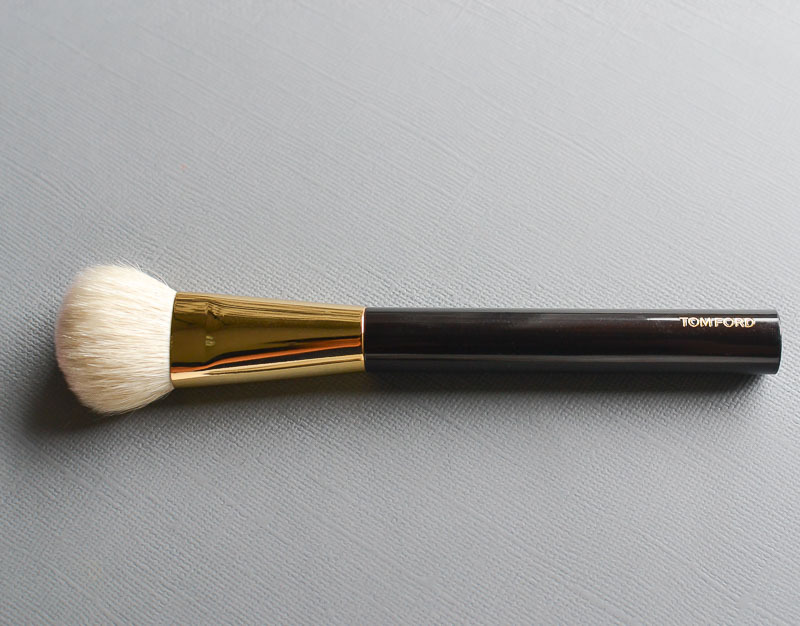 I have had this brush for 3 years now, and I usually alternate between this Tom Ford cream foundation brush and an It Cosmetics brush for my foundation application. I wash my foundation brushes after every use, and even with such frequent use/wash, the bristles on this brush have held up quite well over time. A few loose hair did shed initially, but that stopped after a couple of washes, and I haven't noticed any shedding for a long time now. Color washes quite easily off the bristles, and the only product that has left a bit of a stain on this brush has been Benefit Posietint. For me, this brush is absolutely worth its hefty pricetag. 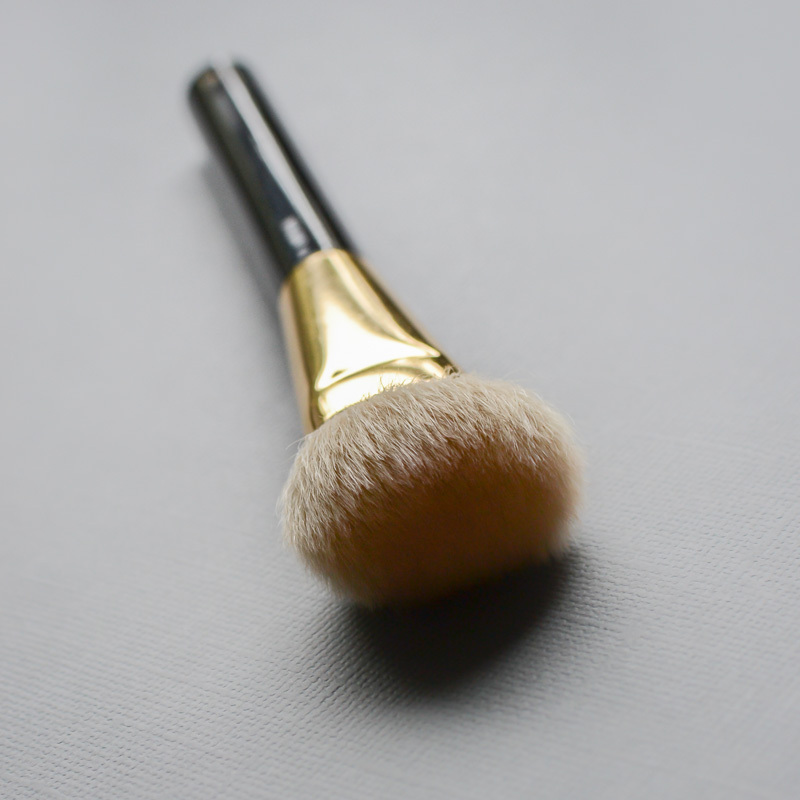 I have slightly sensitive skin, and I definitely appreciate the soft bristles on this brush, and I love the streak-free, even, and natural-looking foundation application that I get with this brush.